Finding and retaining employees is tough for most dealerships. Imagine if you are based in Silicon Valley, facing sky-high living costs and competing against high-tech firms. “We don’t have any helicopter or private chef,” Jeremy Beaver, president of Del Grande Dealer Group, tells Automotive Buy Sell Report. “We do it through recognition and offering training possibilities. “We have four full-time team members focused on talent acquisition,” says Beaver. The Group takes a multi-tiered approach. It looks for people who have never been in the car business and offers extensive training as well as a well-defined career path for every employee, regardless of where they are in the organization, says Beaver. That is a “really big” retention tool, he says. “If you don’t train and coach (employees), and identify high-potential employees and support them, you are doing a lot of damage,” says Beaver. It focuses on hiring women through its womensbuyingnetwork.com site, which aims to attract both women customers and employees. Currently, 18 percent of Del Grande’s employees are women. “We think there is a massive opportunity there (and) an untapped market for quality candidates,” he says. At Del Grande, 48 percent of the employees are Millennials. Their work place needs for constant feedback and frequent recognition fits into Del Grande’s high recognition, high reward culture, says Beaver. Its pay structure is non-commission, which also appeals to Millennials. Instead Del Grande offers hourly wages plus productivity bonuses and five day work weeks. “This fits more into the lifestyle these team members want,” says Beaver. Beaver worked at Jumpstart Automotive Media before coming to Del Grande. 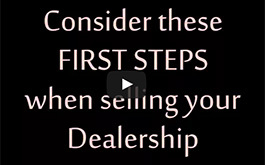 Jumpstart provides online marketing and advertising tools to dealerships. 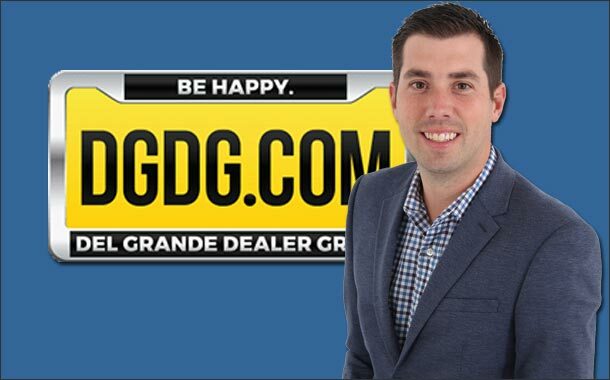 He joined family-owned Del Grande ten years ago when it had just three dealerships. Kevan Del Grande and his son Shaun were running the group. “The entire goal was to help grow the group under Shaun’s leadership,” says Beaver. He and CEO Shaun now run daily operations with Kevan Del Grande still involved. “It is a very family-oriented business,” says Beaver. The business is based on two tenets, he says: Taking care of the group’s employees and guests and high use of technology. It employs a full-time CTO. Del Grande’s digital presence is extremely important given its location in Silicon Valley. “It is what consumers are used to in everyday life,” says Beaver. Like all dealership groups, Del Grande is “still trying to figure out what the future of automotive looks like,” he says. Longer-term, the group is focused on taking out costs. Two ways it looks to do that are higher use of technology and by taking non-customer-facing areas such as reconditioning cars off site. It also wants to streamline the customer buying experience. Communicating with customers with whatever media that person uses everyday is important, he says. They are also looking into a concierge service that would include pick up and drop off. The Del Grande Dealer Group will continue to evolve and “play in the market no matter what it is. We believe we can continue to grow our business in a more challenging market for the next three to five years,” says Beaver. It is expanding. 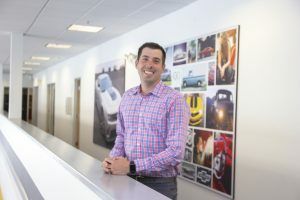 In 2017, it acquired four dealerships in Vallejo, a city north of Silicon Valley, and an Infiniti dealership in Santa Clara, in Silicon Valley. The acquisitions added the group’s only two luxury marques – Cadillac and Infiniti. Sticking to volume brands is by design, says Beaver. It also aims for its yellow DGDG license plate to be everywhere on the web. “Whether you are looking for a car or not, at least you see it,” says the former digital marketing executive.